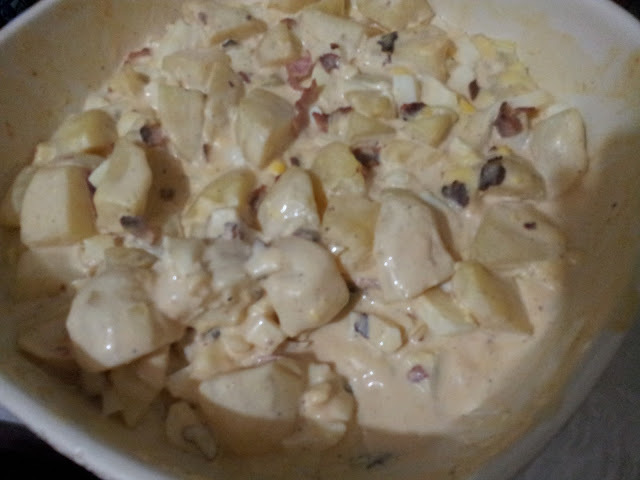 Sharing to you this yummy recipe I got from Errol P. and Jadie – Bacon Ranch Potato Salad. So delicious! Perfect for this coming holiday. I tried it last week, on my sister’s birthday and it tasted really yummy. Make sure to refrigerate it for a few hours before serving. Enjoy!